“PULL YOUR CAMARO OUT OF THE GARAGE, INSERT REAL LIFE HEAVIES NEW CD (or smart device w/MP3), CRANK THE VOLUME, AND DRIVE LIKE YOU DID BEFORE YOU LOST YOUR EDGE. 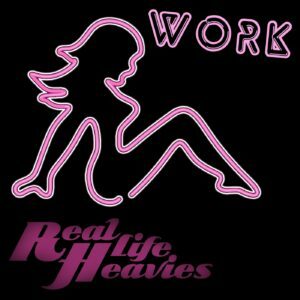 This is damn good music … and now you can download the Real Life Heavies latest single for free! Listen to what others are saying about the Real Life Heavies! The Real Life Heavies middle-aged executives who missed their calling as rock stars due to “slight complications” such as career, family, etc. However, after many years of hiding away in basements and getting up early for work, these musical bosses have decided to chase the dream once again. As you will hear in their music, they make their comeback with the advantage of their generational influences from the hero-era. Founder and front man Jeff Lane is the songwriter behind this genius style and calls on bassist Johnny Nat Rasar and drummer Brian Seiler for their many years supporting touring acts from the 80’s and 90’s. The sound is stellar and familiar in a good way. The Real Life Heavies are a ingenious blend of multiple genres, with a “heavy” focus on R&B and Rock, mixed together in your favorite rocks glass with your fingers. Laced with a very strong Blues influence, the Real Life Heavies are bringing back sultry and iconic rock and roll sounds from the hero-era, only in a new all-original package. This underground collective is comprised of white collars who still carry the ghosts of the 70’s and 80’s, and yearn to loosen their ties with the release of “new” classic rock and soul…. For a limited time the Real Life Heavies are giving away their latest single. Just enter your name and email address in the right hand side of this site and you will immediately be sent the download link to the free track. So enter your name and email address now, load up your ipod, and hit the road wide-open. “Why?”, you ask … because you need this. Enter your name and email address and you'll receive the Real Life Heavies latest single - FREE!